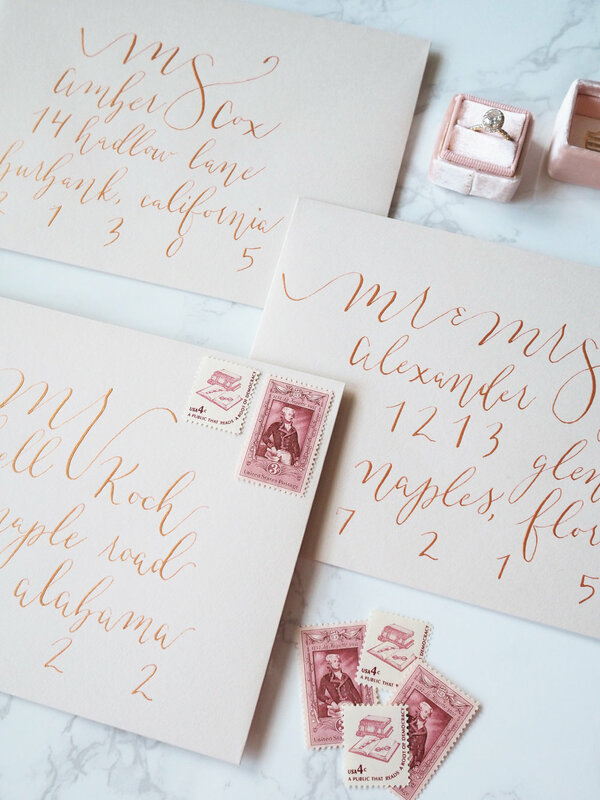 Hand calligraphed envelope addressing is a beautiful way to add a heartfelt touch to your wedding invitations & save the dates. Each envelope that is delivered to your loved one's mailbox will be treasured as a handcrafted & sentimental memento. If you are interested in envelope addressing, please fill out the form below. Once this form has been submitted, I'll get back to you within 1-2 business days. Which envelope addressing services are you interested in? Please select all that apply. If you have a service in mind that you don't see listed, don't worry! Simply select 'other' and let me know what you're looking for in the 'Additional Details' section.